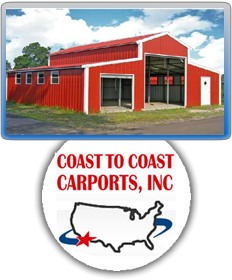 Coast to Coast has an extensive selection of carports, storage units, metal horse barns, and other steel buildings that come in a variety of shapes, colors and sizes. 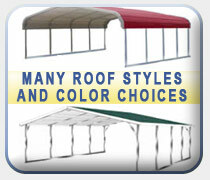 We can customize a building to fit your individual needs at a price you can afford. In addition, we have a line of prefabricated metal buildings that are as versatile as the customer base we serve. We understand that time is money, and therefore; we aim to have your metal structure sent to you and erected in the quickest amount of time possible. There is no doubt as to why we are leaders when it comes to steel buildings. Coast to Coast is a name you can trust. We have years of industry experience and market know-how that enables us to provide you with the most quality metal buildings available. Our staff consists of well-trained, highly efficient individuals who are focused on absolute customer satisfaction. Our engineers are experts in designing and constructing steel buildings. 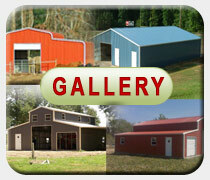 They have created some of the world’s most durable steel structures and metal horse barns. Coast to Coast’s metal buildings are so multifunctional, they have been servicing the needs of commercial, residential, manufacturing, and agricultural individuals for years. Our steel structures can be used for a multitude of purposes. They make very practical body shops, garages, storage units, maintenance buildings, commercial office buildings, grain storage units, gymnasiums, sheds, hangars, livestock covers, metal horse barns, RV and boat storage facilities, workshops, and more. There is no better feeling than knowing that your valuables are safe and secure. 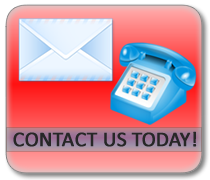 That is why Coast to Coast specializes in supplying you with only the highest of quality metal buildings on the market. We have established a reputation for providing our customers with excellent products and service. When deciding on a metal building for your next structural project, remember Coast to Coast Carports.